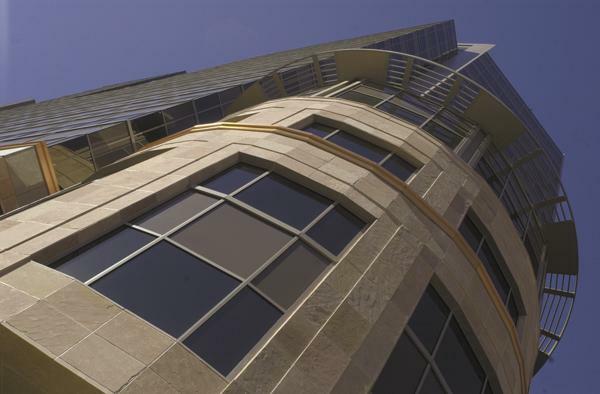 The former headquarters of Freeport McMoRan Gold & Copper Inc., the One North Central tower in downtown Phoenix, will be filled by PhoenixLaw, also known as the Phoenix School of Law. The college will take eight floors of the 20-story tower or 205,130 square feet. The school is moving from its current location at 4041 N. Central Ave.
“It’s an interesting use that will be a great benefit to downtown,” said Phil Breidenbach, senior vice president of Colliers International in Phoenix. Breidenbach represented the landlord, a subsidiary of Mitsubishi Estate New York, along with team members Peter Neiman andLindsey Carlson. Breidenbach said the move, which is expected by the fall, will bring “a bunch of students,” to downtown, but he could not give specifics. The Phoenix Business Journal put in a call to PhoenixLaw President Scott Thompson, but he was traveling and unavailable for comment. Freeport McMoRan, which moved to Central Park East at the northeast corner of Central Avenue and Van Buren Street last year, still had an active lease on its space at 1 North Central Ave. Breidenbach said Colliers didn’t intend to market the property until that lease expired. “But we were approached by a lot of people in the marketplace,” he said. The overture by PhoenixLaw appealed to the landlord and negotiations commenced. Breidenbach said he expects tenant improvements to be extensive. “They’ll transform corporate headquarters into education facilities. That will be significant,” he said. Breidenbach could not say how much those will cost. Posted on April 21, 2011, in Commericial, Downtown Vitality and tagged One North Central, Phoenix School of Law, PhoenixLaw. Bookmark the permalink. Leave a comment.